Every time I buy something new, I always want to wear it asap because the excitement is just too much. I bought this skirt online not that long ago and I love the fit and how it sits on my waist. School girl/tennis skirts have a really flattering silhouette (at least in my opinion) and they're great for wearing with crop tops. 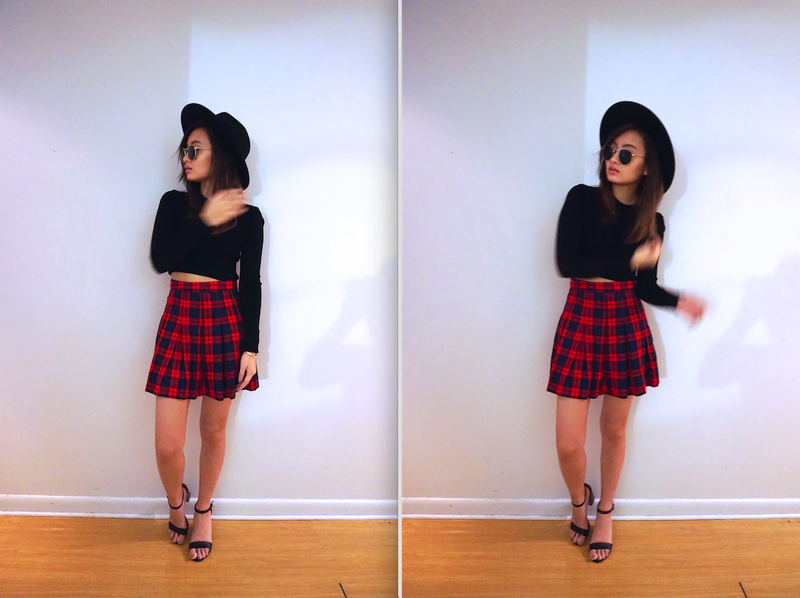 I wanted to go for a more grunge vibe so I mixed in my Raybans and hat while still keeping it feminine with my heels.